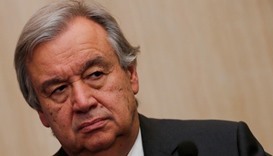 UN chief Antonio Guterres appealed on Friday for more aid for the people of Mosul, as he visited a camp for Iraqis displaced by the battle to retake the second city from jihadists. 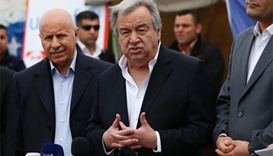 UN Secretary-General Antonio Guterres warned on Wednesday against abandoning the idea of a two-state solution to the Israeli-Palestinian conflict, saying there was "no alternative". 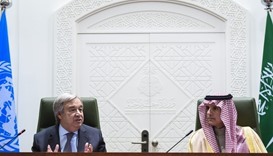 "Islamophobia" in parts of the world is fuelling terrorism, the head of the United Nations said on a visit to Saudi Arabia Sunday, as anti-immigrant sentiment rises in some countries.